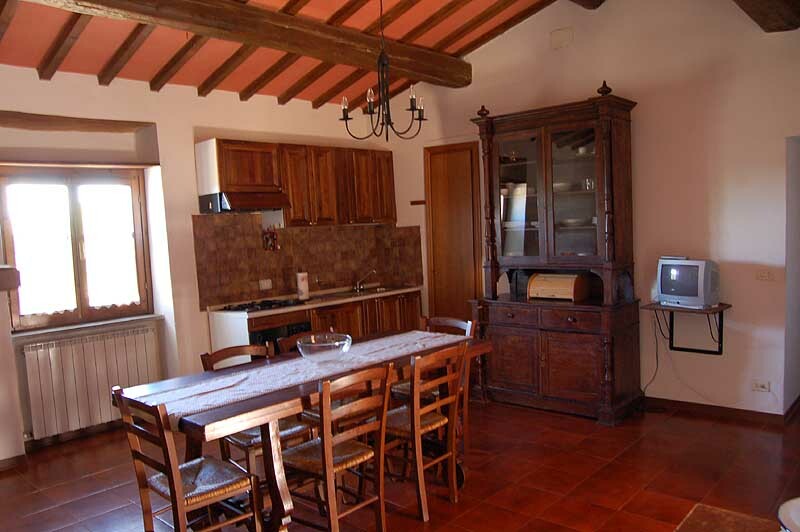 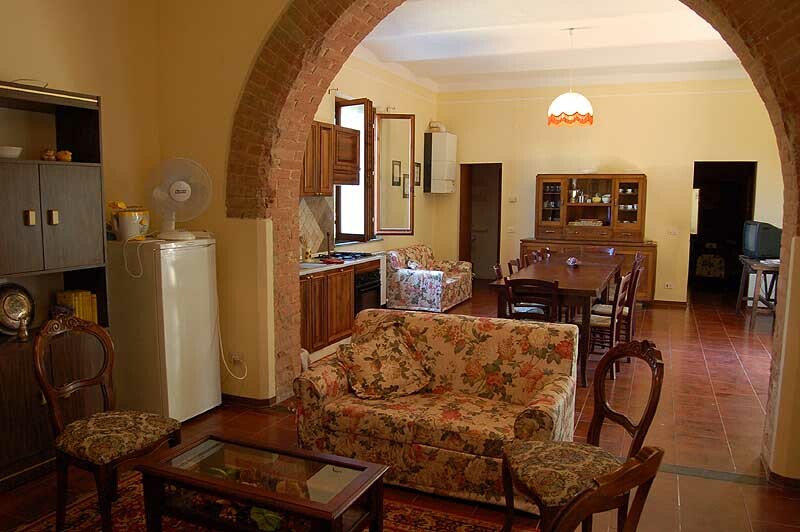 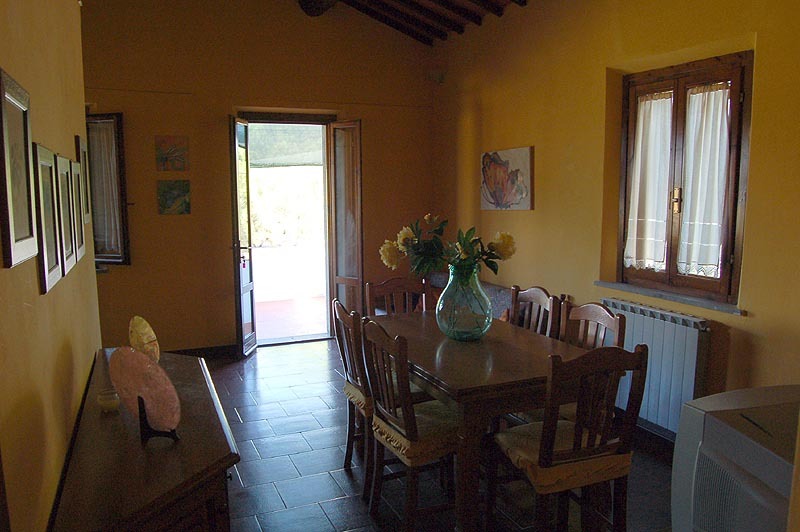 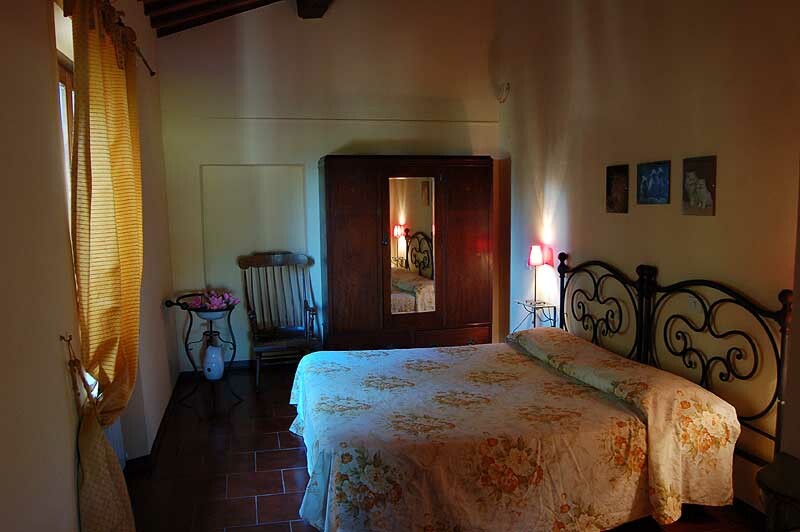 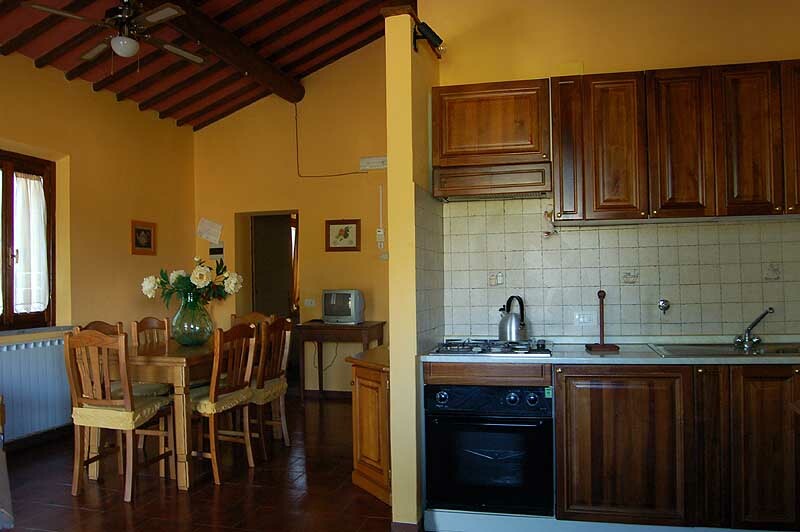 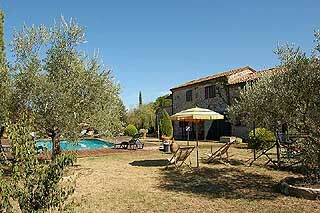 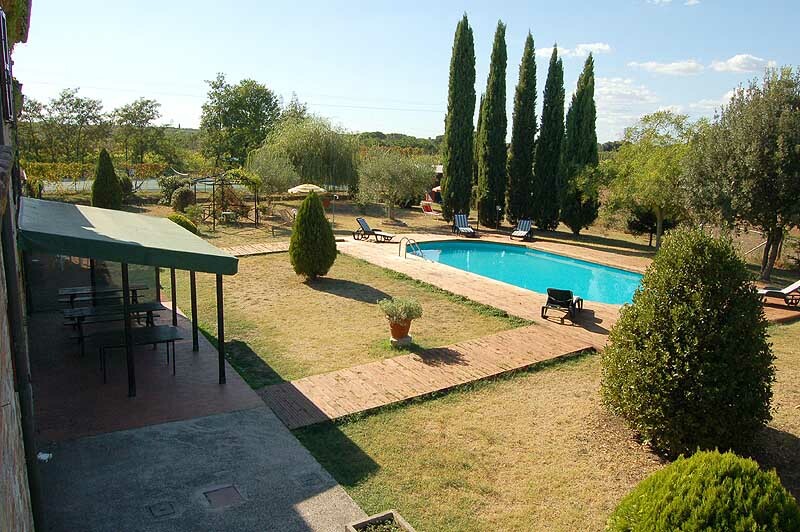 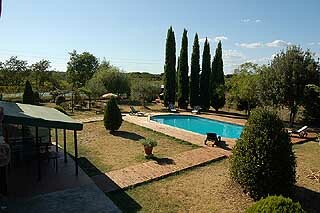 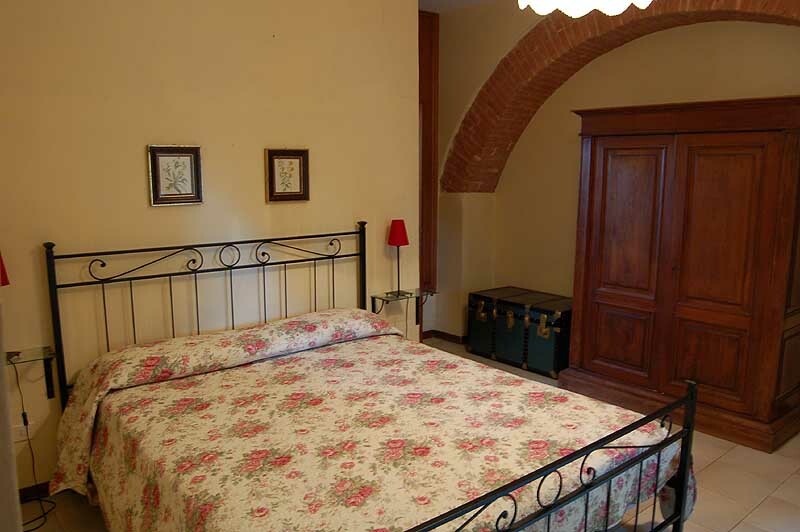 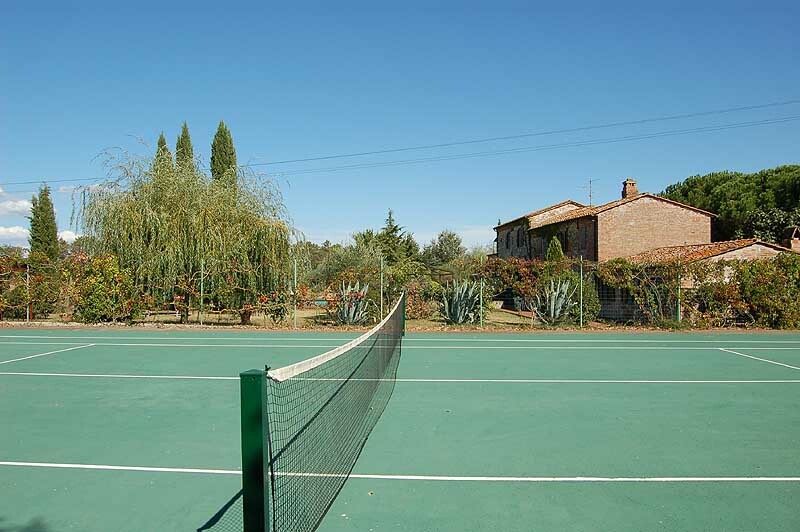 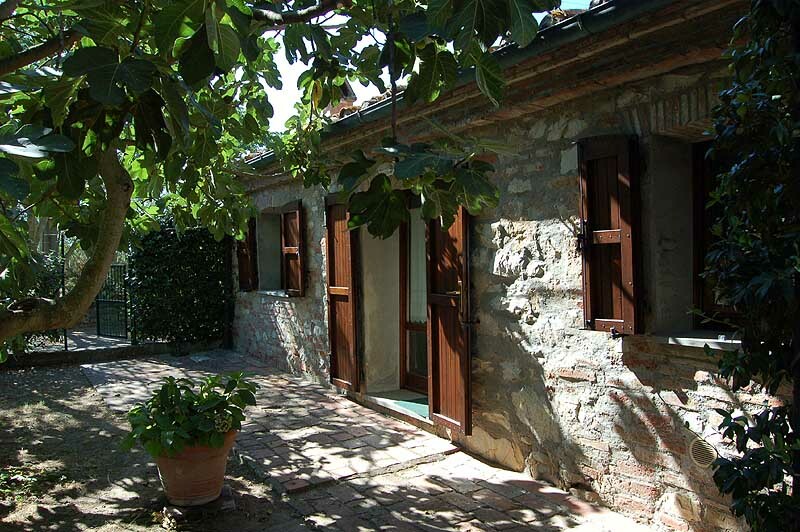 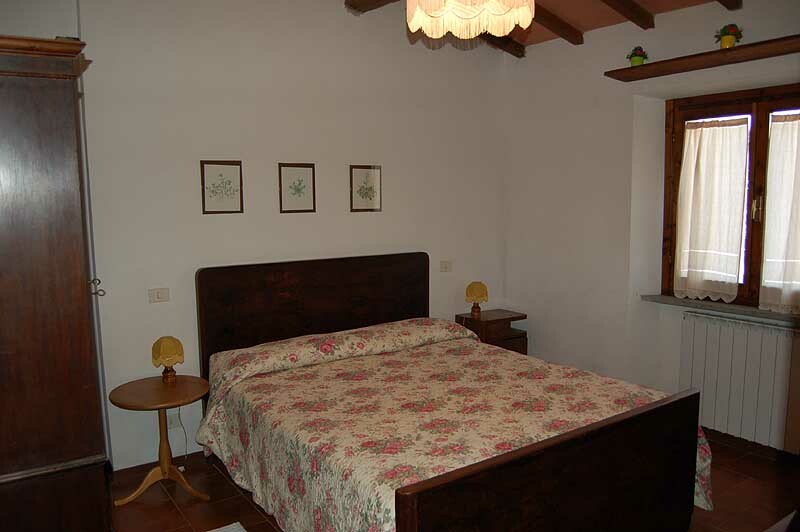 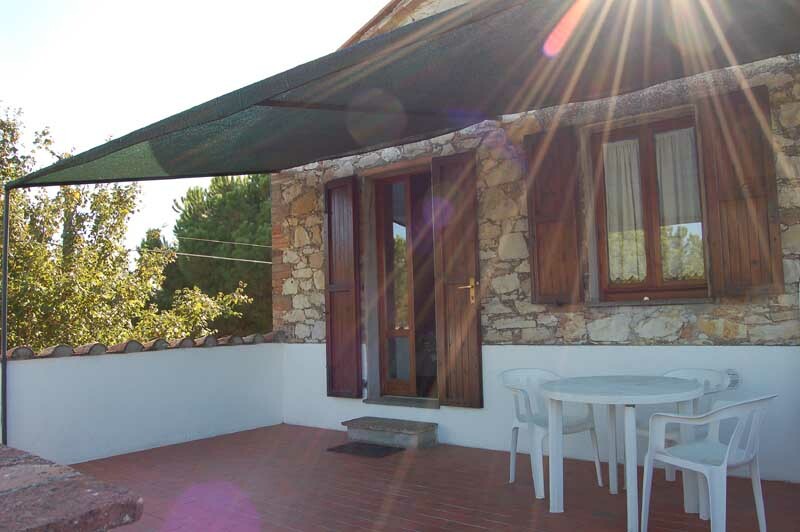 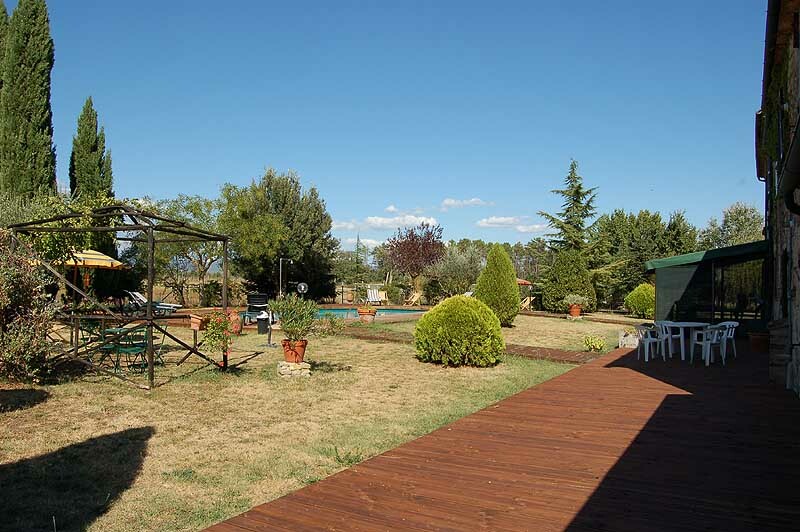 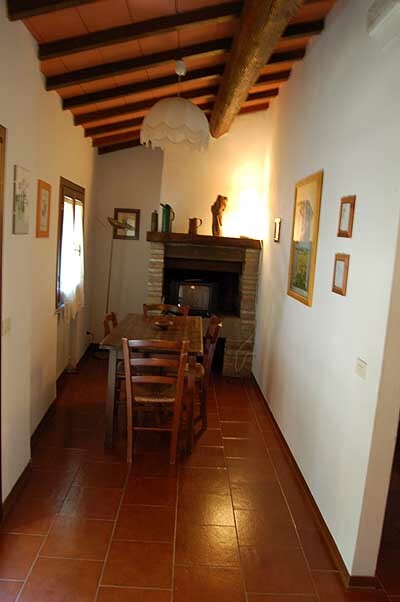 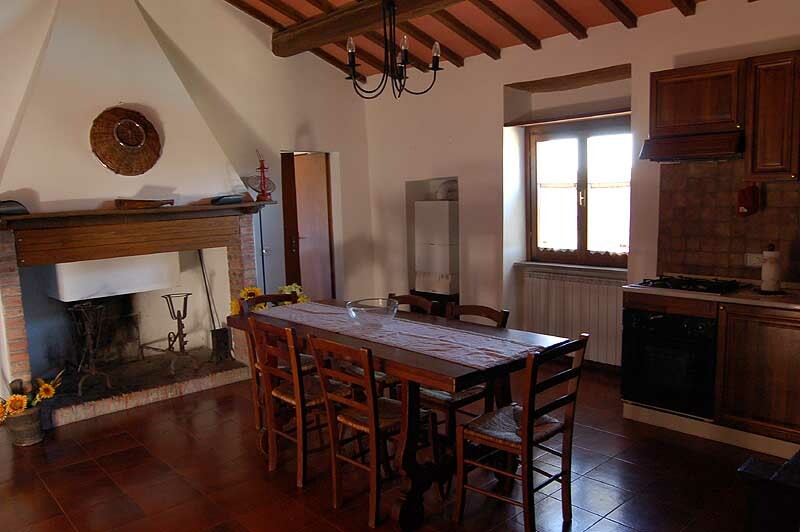 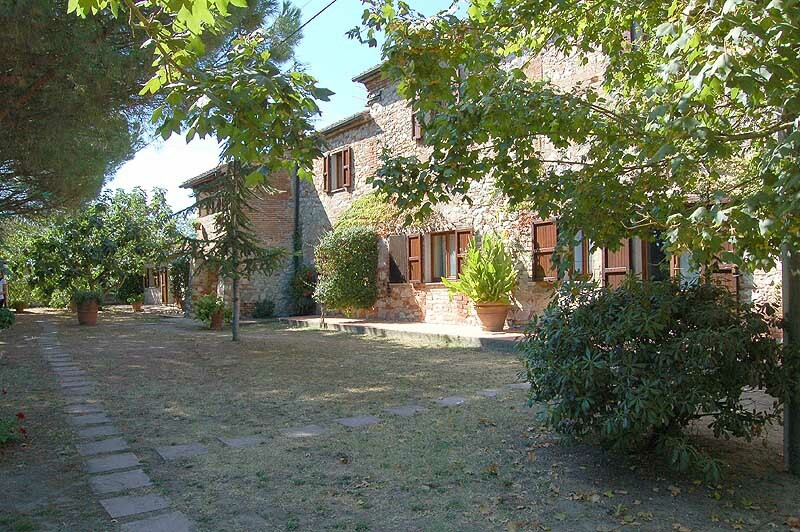 The villa lies in northern of Umbria, situated 3 km from Castiglione del Lago and Lake Trasimeno. 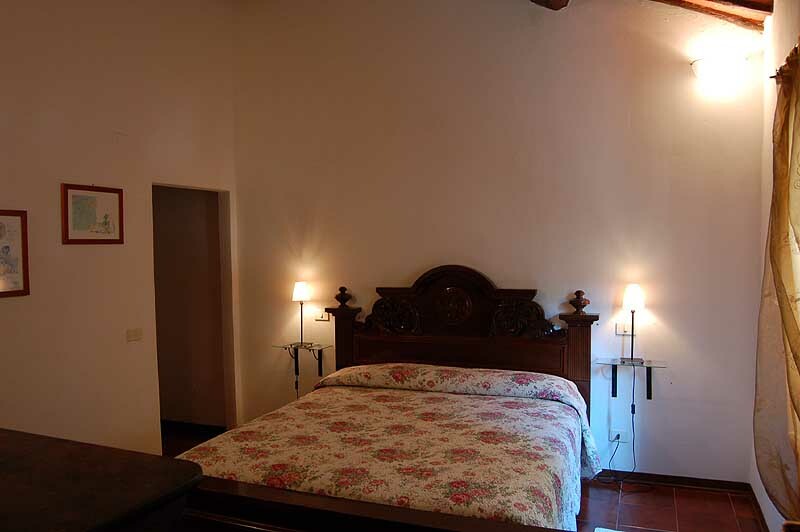 The villa is suitable for groups of 20 persons, it has 9 bedrooms / 18 beds places + a double sofa bed. 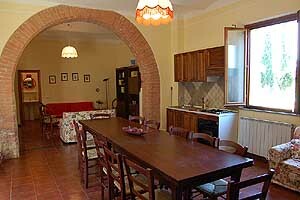 The building is divided into 5 apartments (three on the ground floor, two on the first floor). 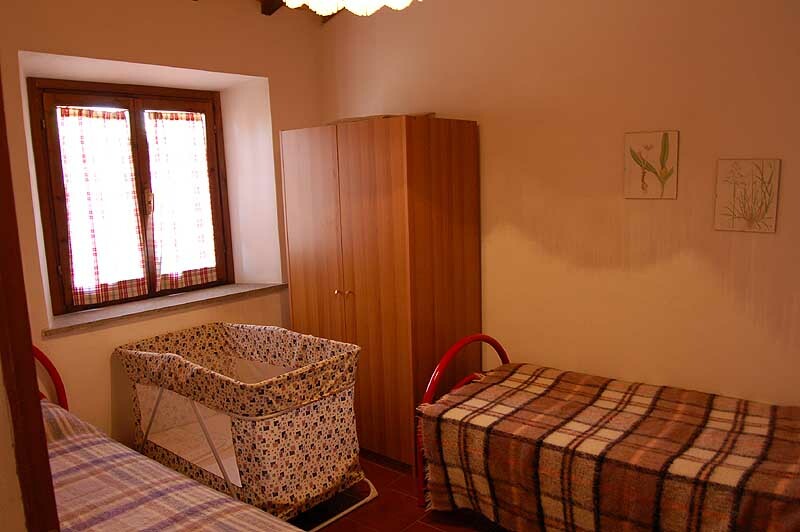 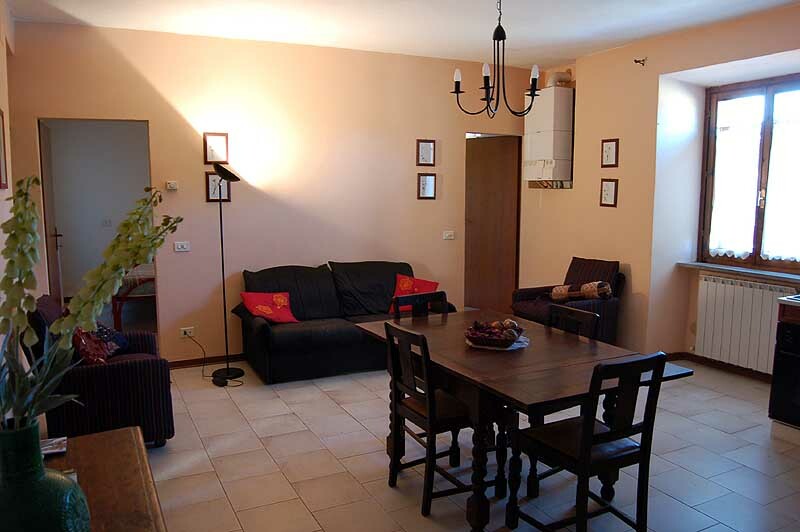 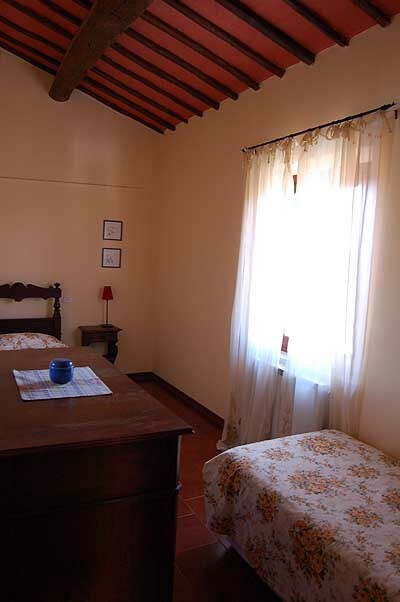 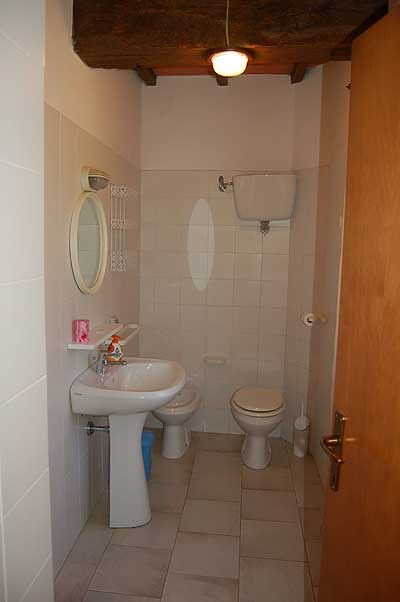 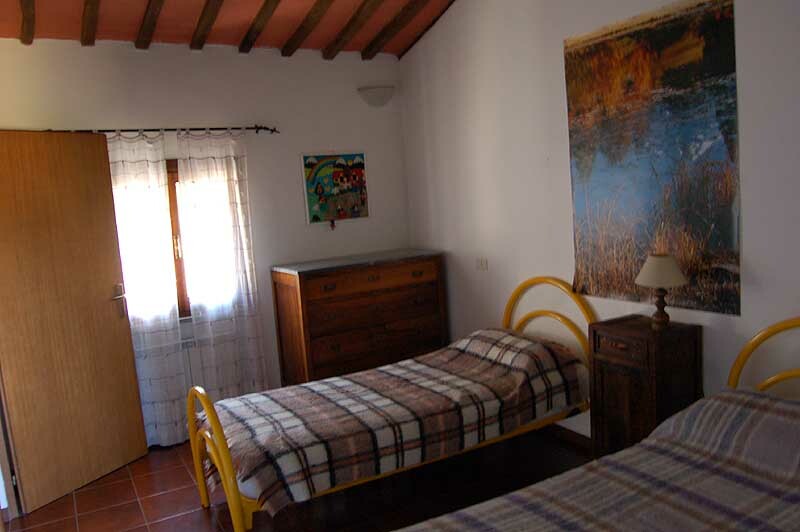 4 apartments have each: a double bedroom, twin bedroom, kitchenette, 1 or 2 bathrooms. 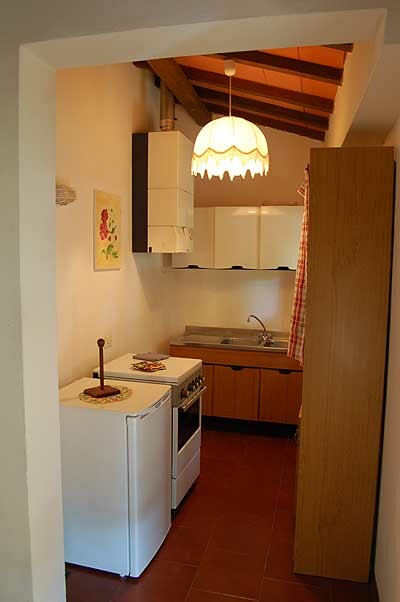 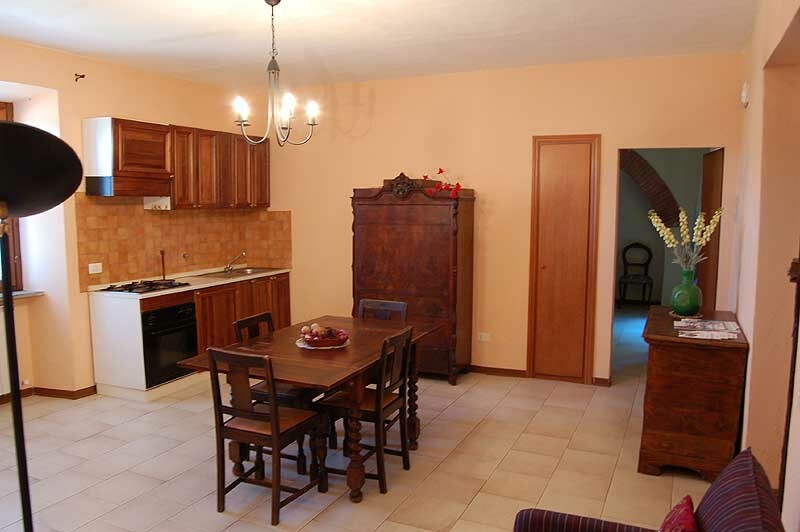 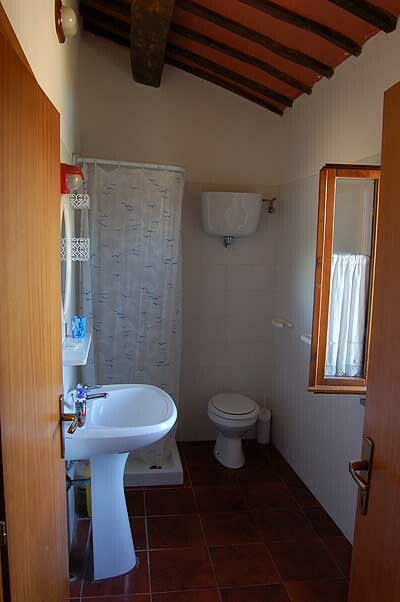 The last one has a large dining / living room with kitchen (dishwasher, coffee machine, oven),toilet and laundry. Besides the large living room is a double bedroom with bathroom. 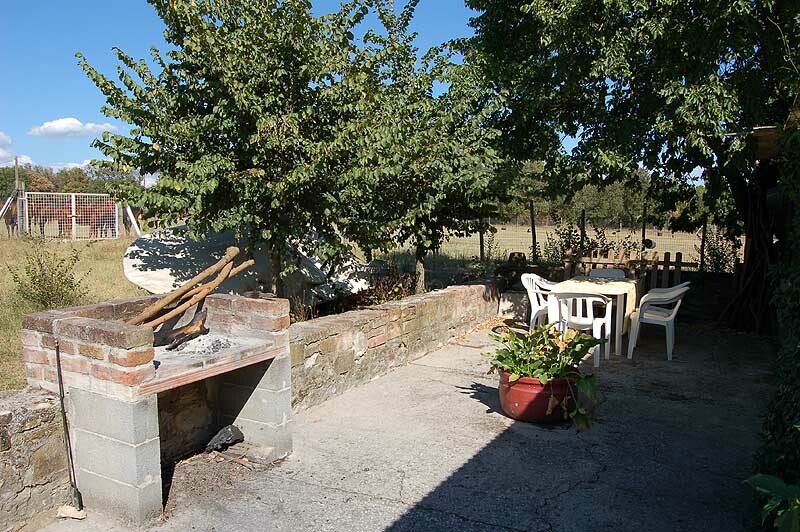 It is also possible to eat all together outdoor on the equipped terrace, there are two barbecue to cook. 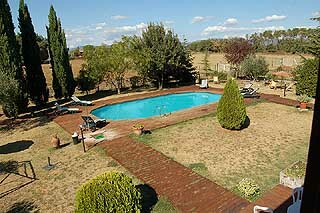 The villa has a large fenced garden. 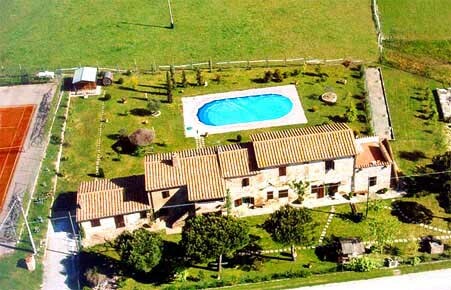 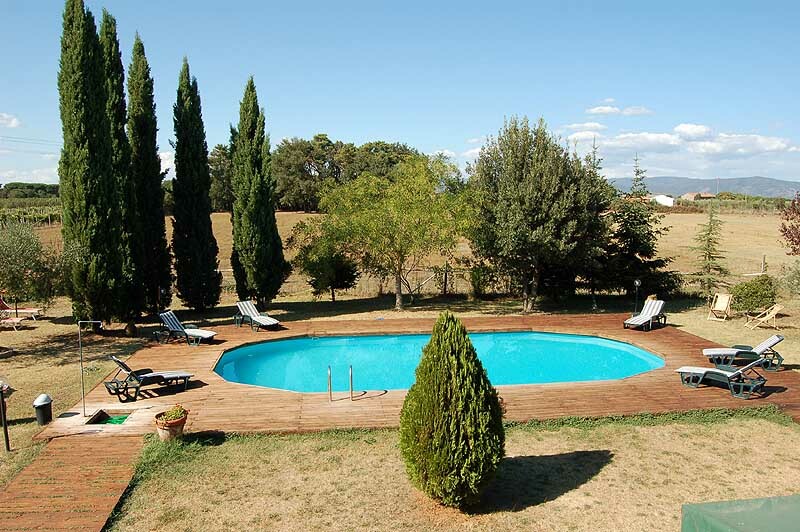 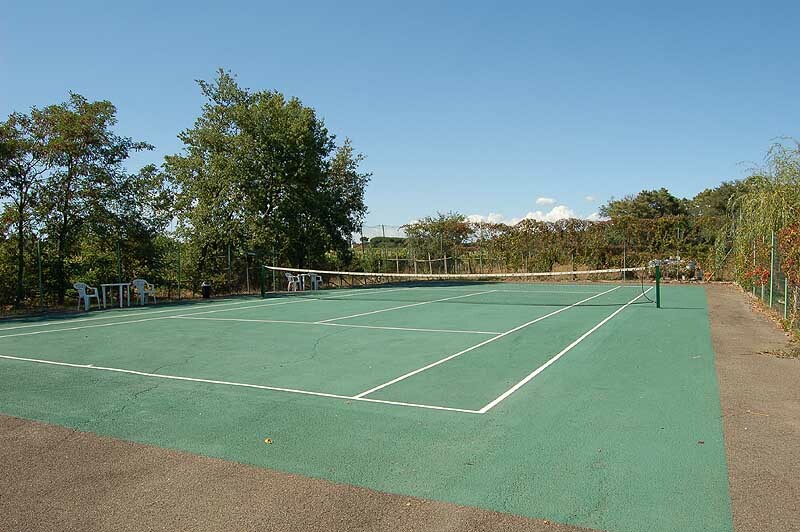 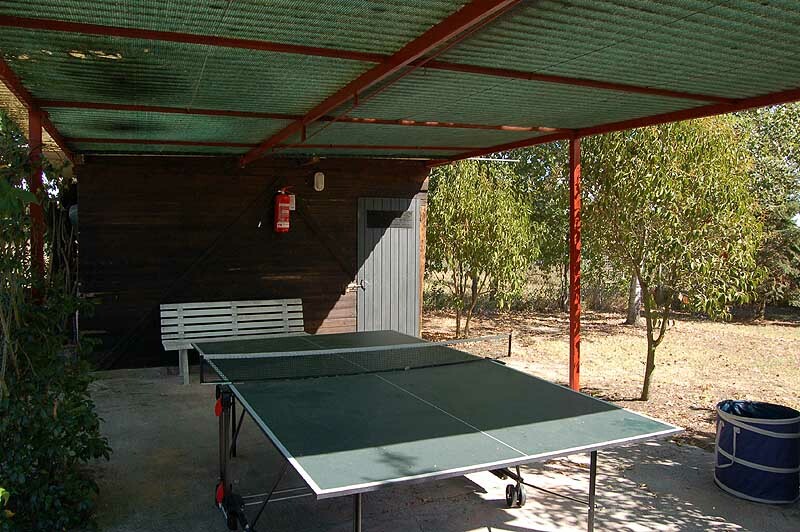 There are a 12x6 meter pool and a tennis court, for private use of the tenants. 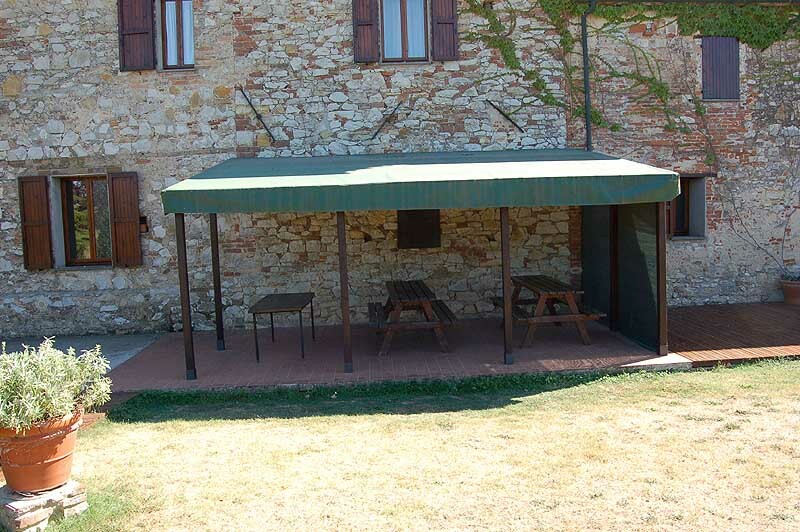 Several gazebo with tables and chairs are in the garden. 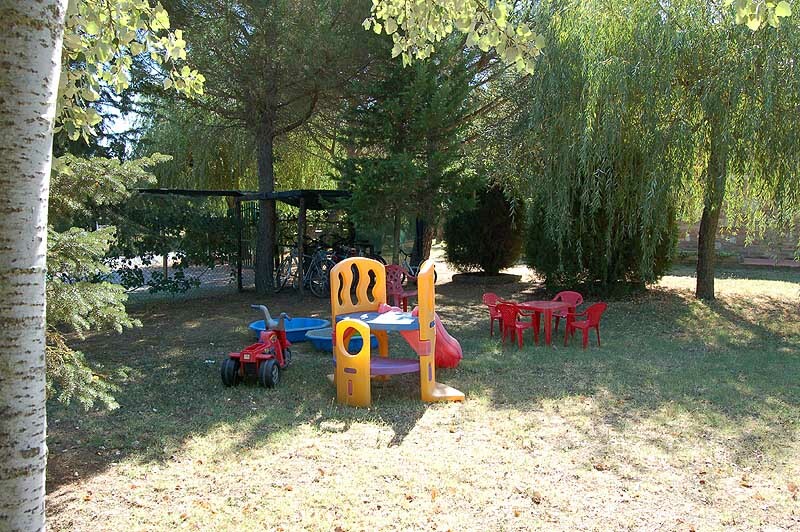 Also available a ping-pong table, bikes and some garden-toys. 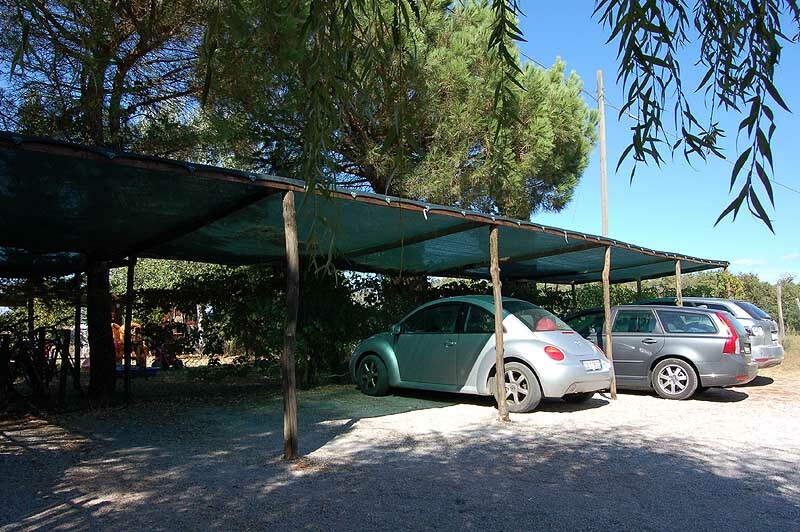 There is a supermarket around 2 kms form the property. 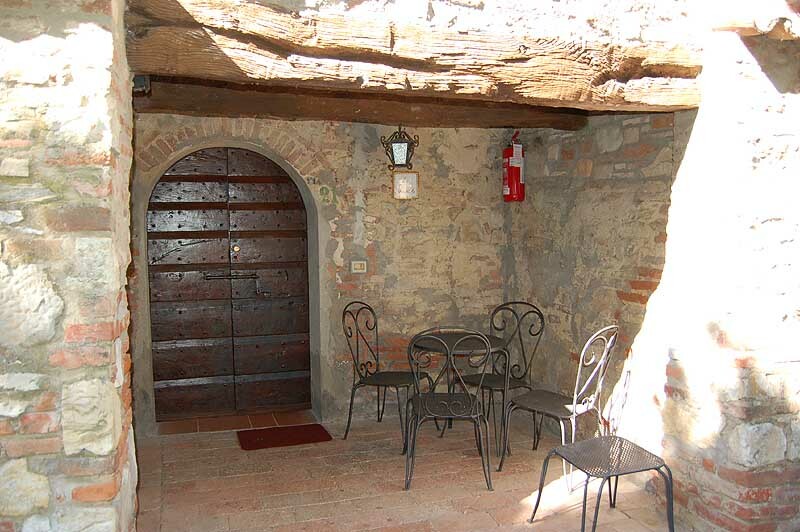 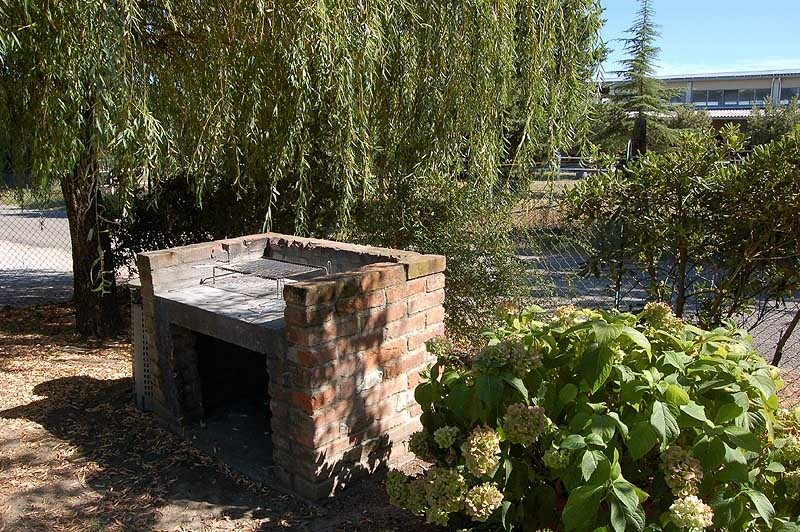 More shops and restaurant are present in the town of Castiglione del Lago (3kms). 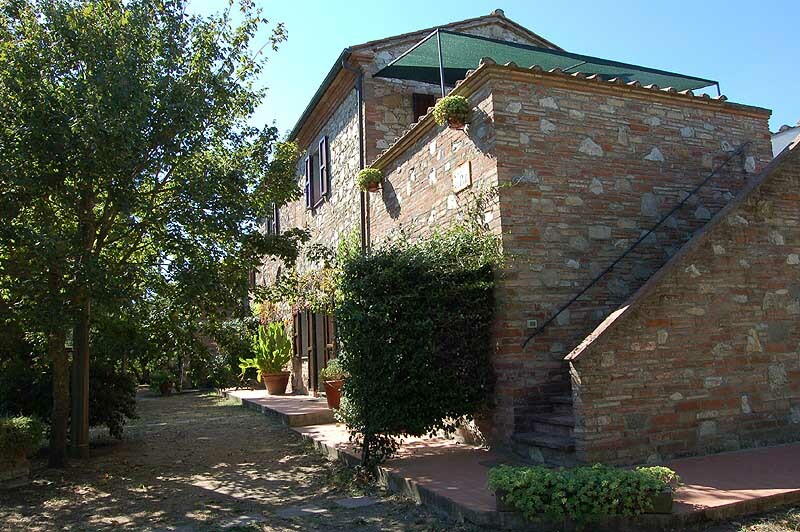 The most beautifull cities and charming villages of southern Tuscany and Umbria are all within 80 kms form the property: Arezzo (62 km), Siena (73 km), Perugia (52 km), Assisi (72 km), Orvieto (65 km), Montepulciano (19 km), Cortona (22 km). 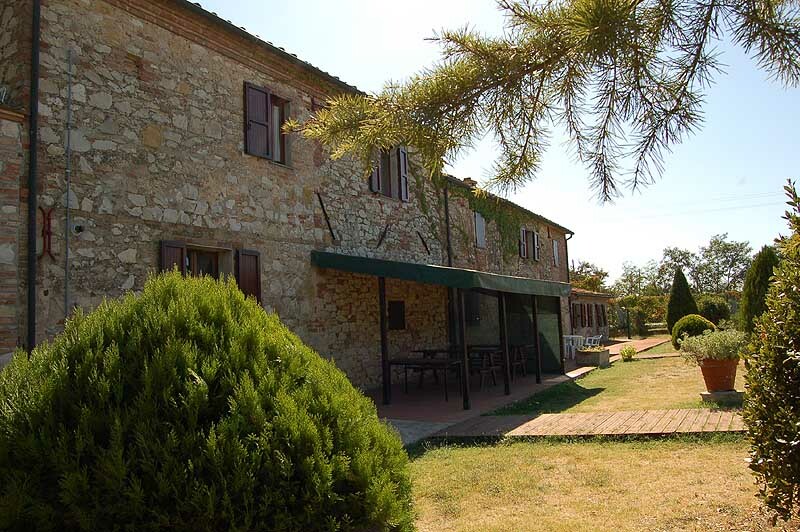 Nearest golf clubs: Golf Club Valdichiana (9 holes situated near Foiana della Chiana), Golf Club Lamborghini (9 holes situated near Panicale), Golf Club Antognolla (18 holes situated near Perugia), Circolo del Golf di Perugia (18 holes situated near Perugia).